Aurora with 2.04 carat Round Brilliant Center and One Matching Band - 14k Yellow Gold - Ring Size 7.00 was added to your cart. 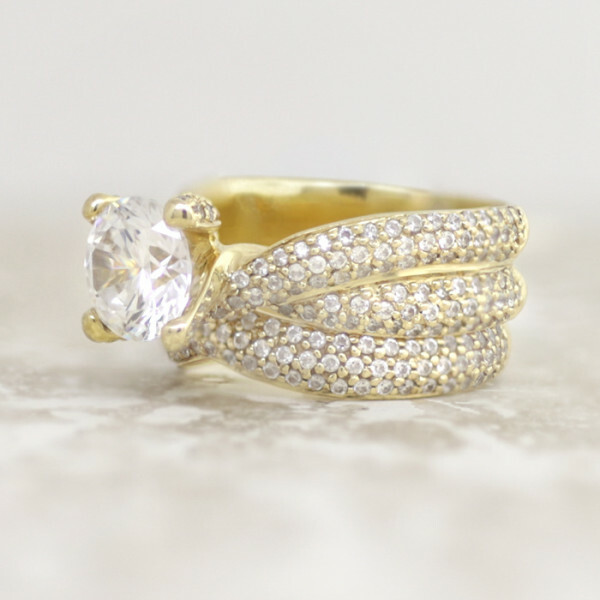 The Aurora engagement ring is a modern romantic ring for a modern romantic woman. The 2.04 Round Brilliant cut Contemporary Nexus Diamonds is cradled in a gorgeous contoured setting that flows up from the entwined pave set split band. It's a stunner without going over-the-top. 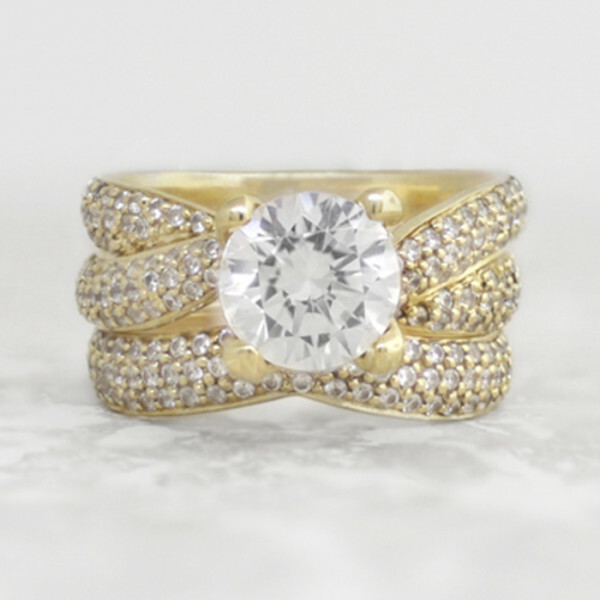 The pave matching band completes this bridal set.